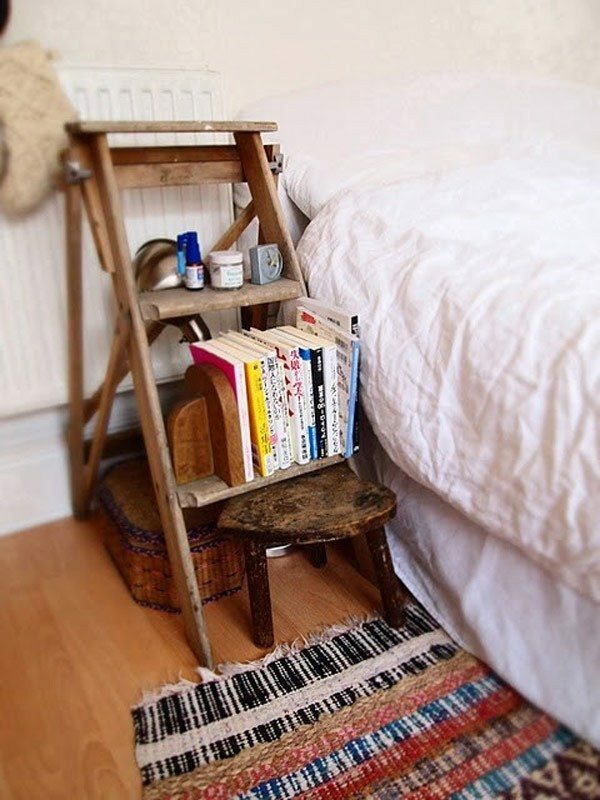 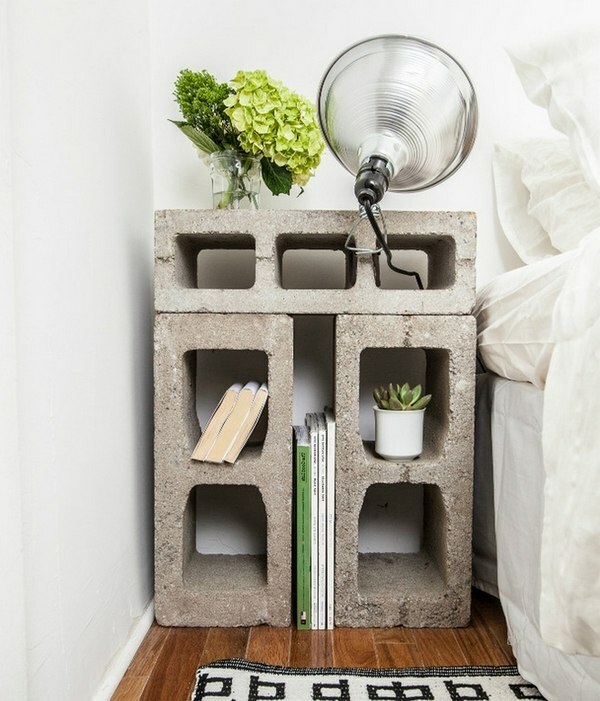 Check out these creative and unusual bedside tables ideas which will show you how to use or upcycle various object and transform them into very convenient furniture pieces. 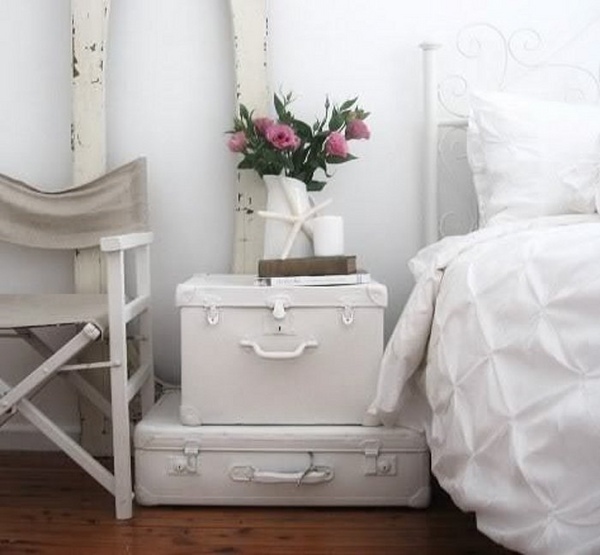 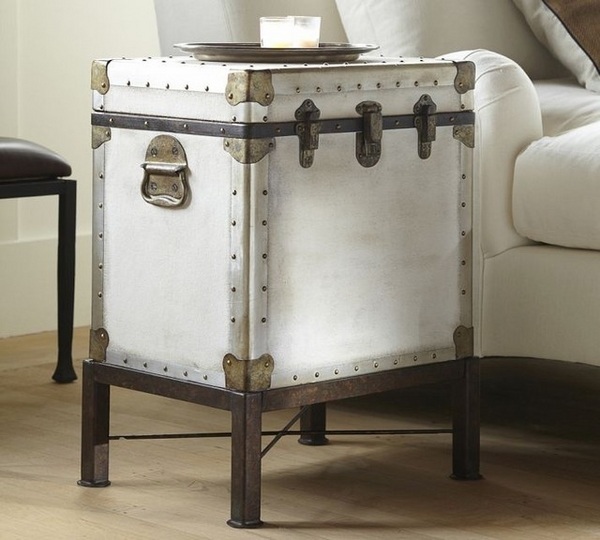 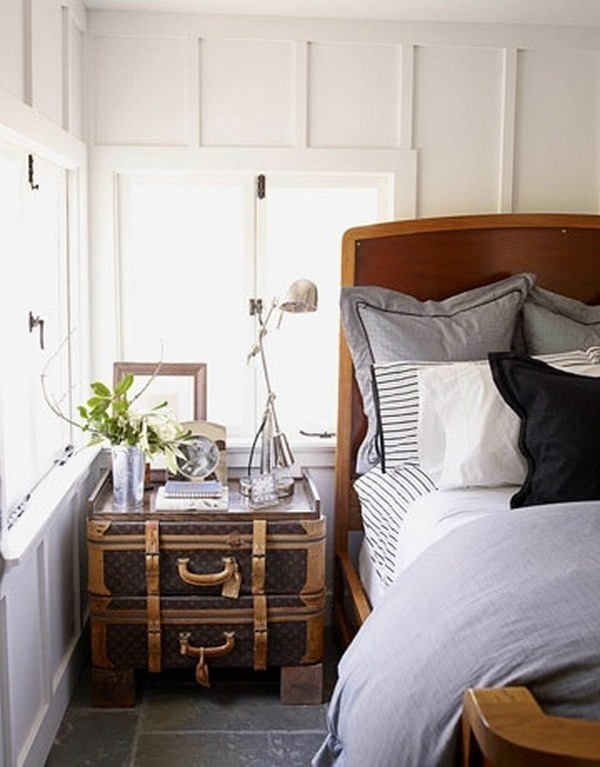 When it comes to the comfort zone at home, the nightstands are a must. 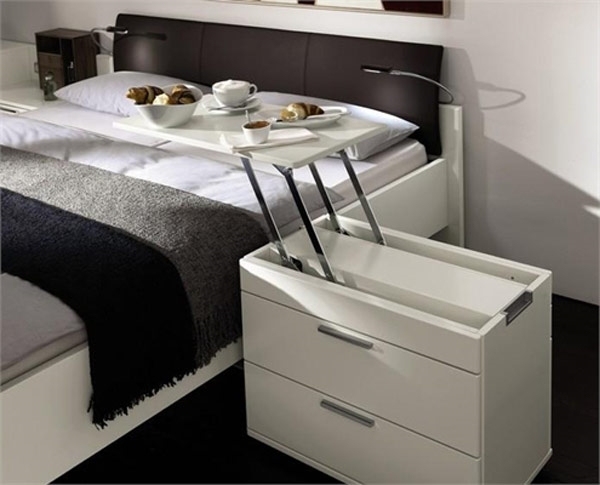 There are many items such as books, glasses and cosmetics, we need around our bed in the evening or in the morning. 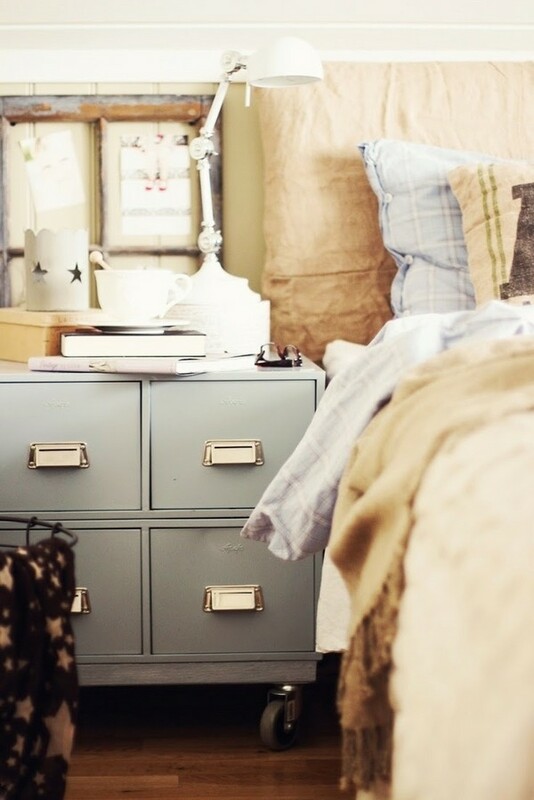 It is often surprising how all these little things can be fit into the drawers of our bedside table. 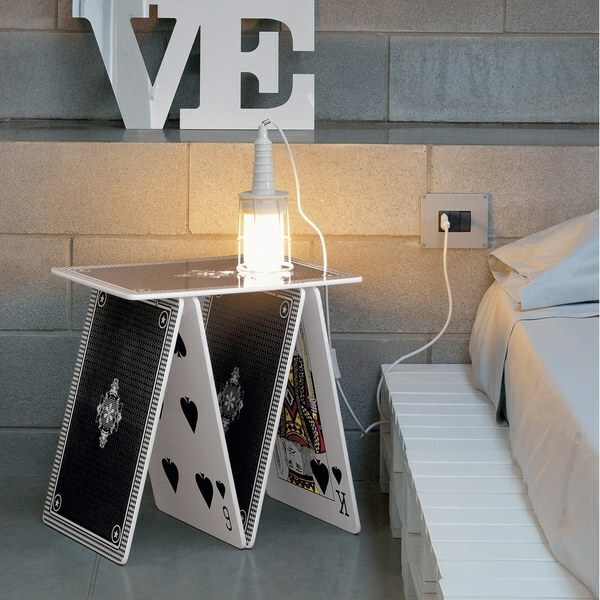 If you are not satisfied with the usual table design you can be inspired by these creative and unusual bedside tables ideas. 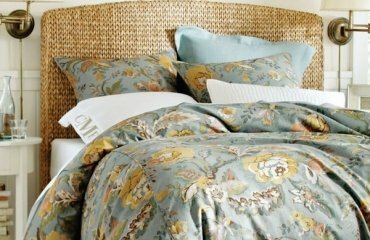 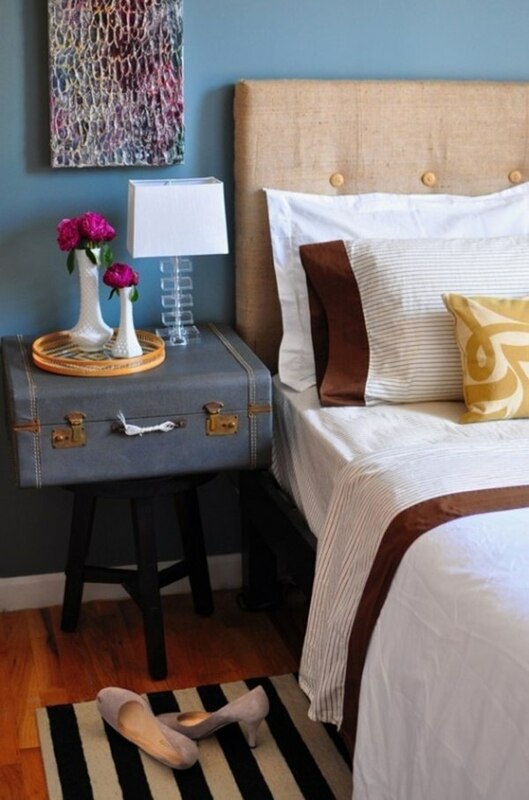 If you have old furniture like stools, boxes or maybe an old coffee table made of wood, these unnecessary items can easily take over the function of the bedside table. 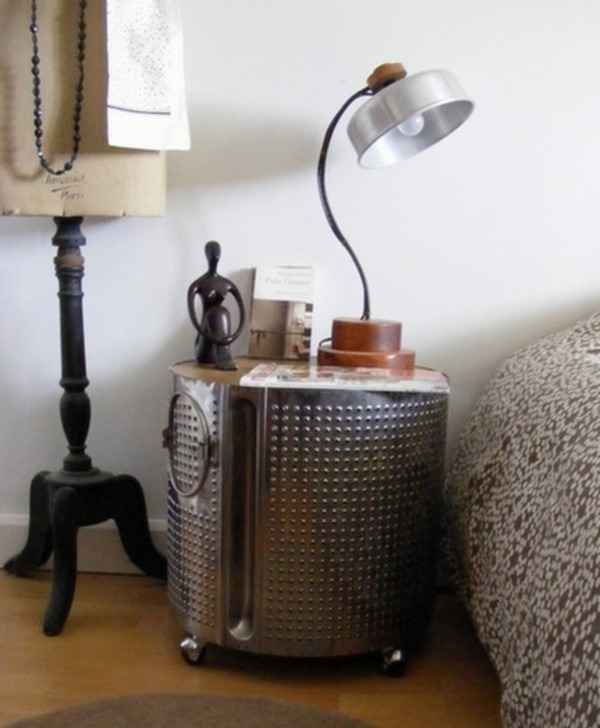 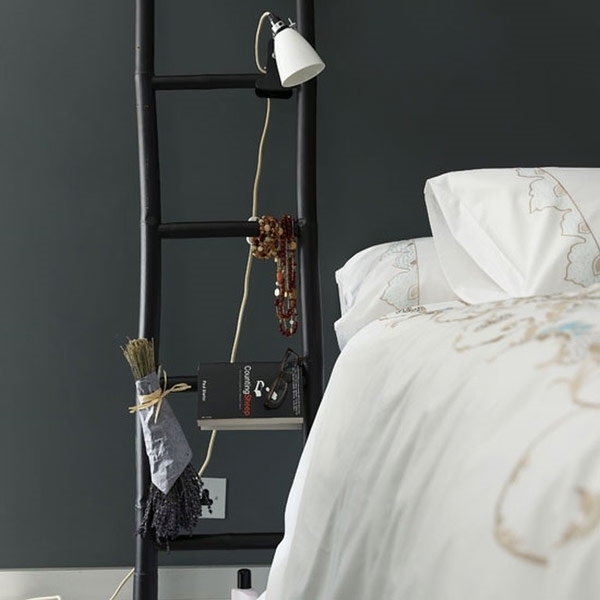 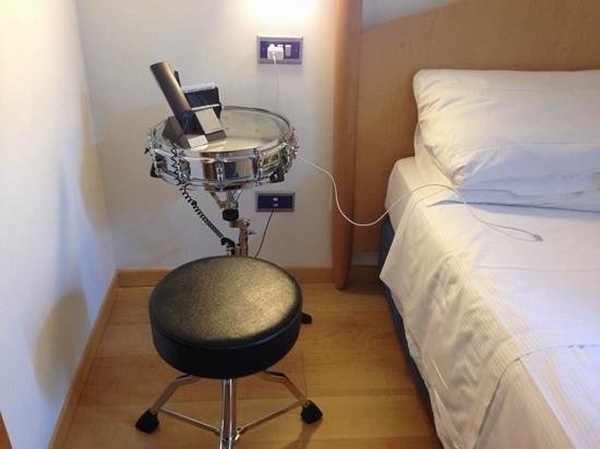 Apart from these very clear examples, there are also other more unconventional objects that can serve as a bedside table, such as a ladder, some old suitcases and even a drum. 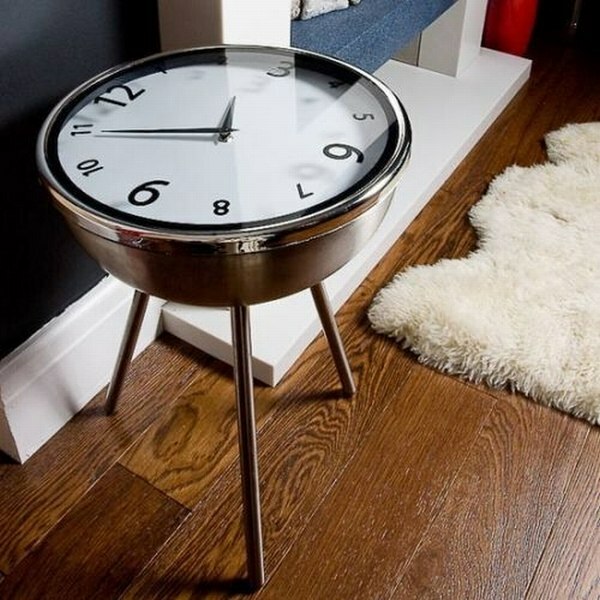 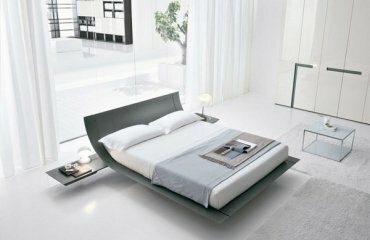 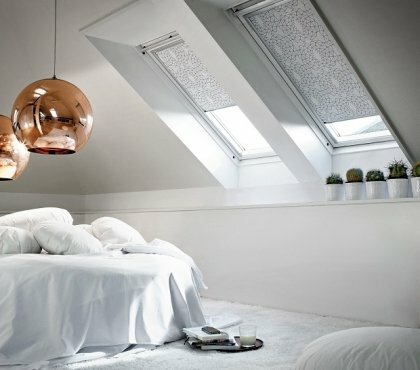 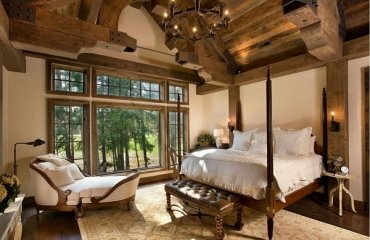 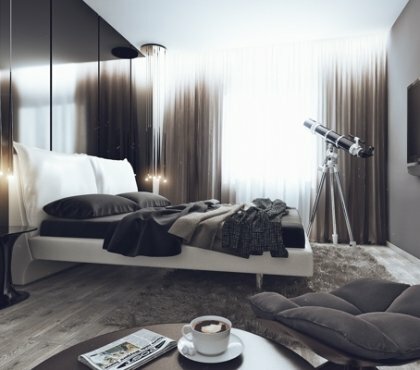 These practical tips will help you if you need a night table, but your budget is not sufficient, or simply you are a fan of the unusual and creative interior design ideas. 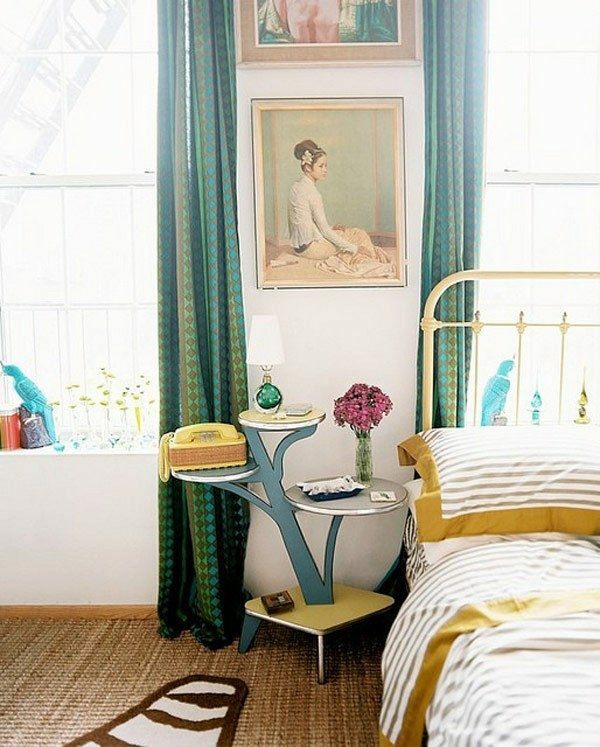 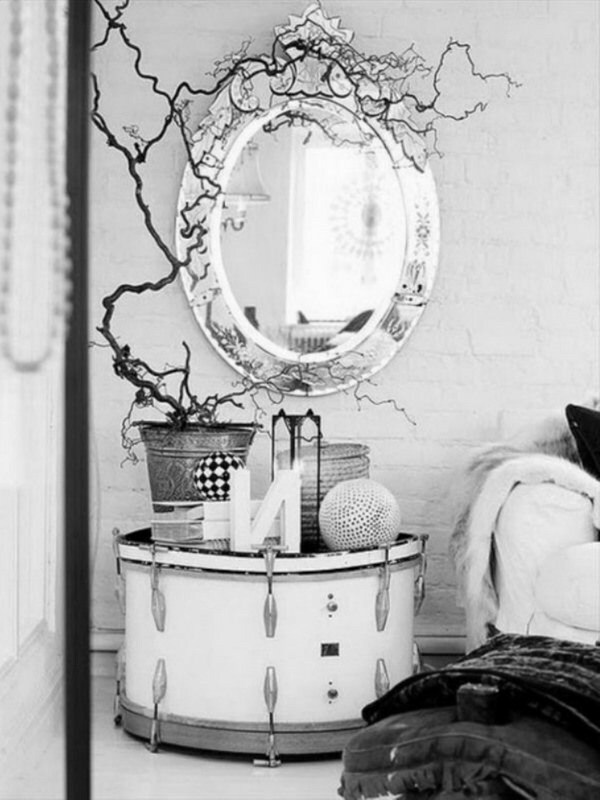 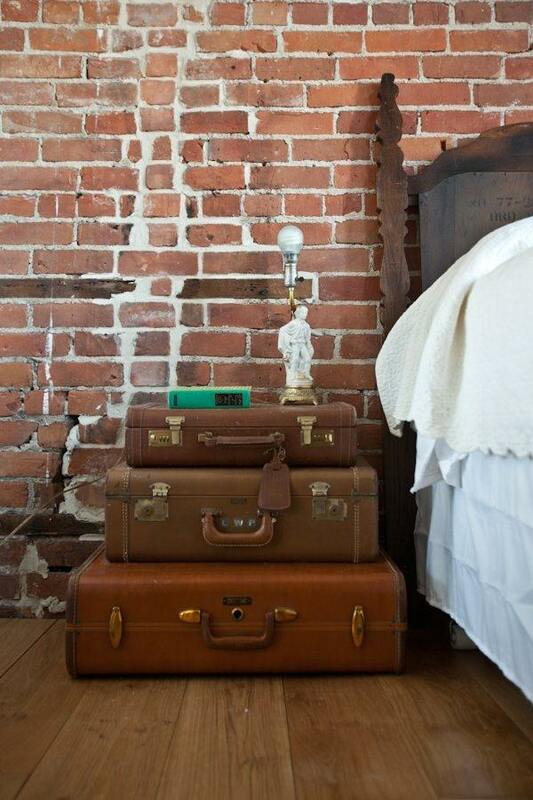 Look around in your home and locate any objects that can serve as a bedside table. 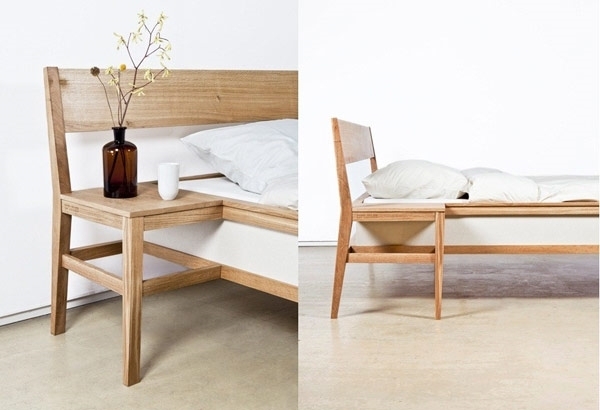 Whether chairs, stools, small tables or even benches can perform this function. 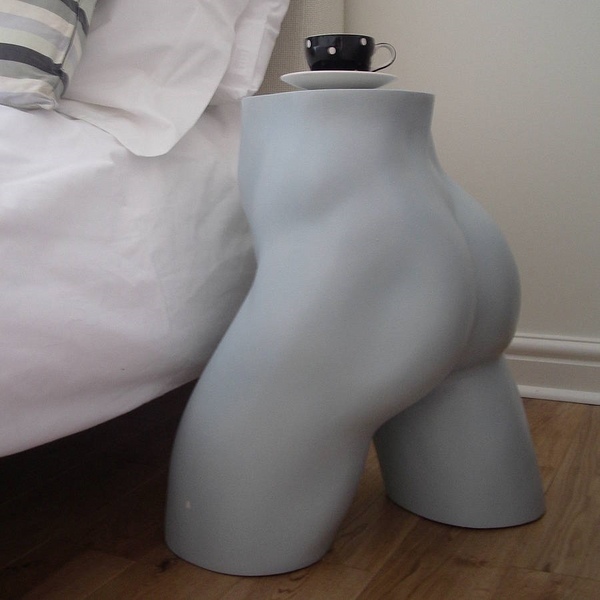 The unusual bedside tables are also applicable with very strange objects. 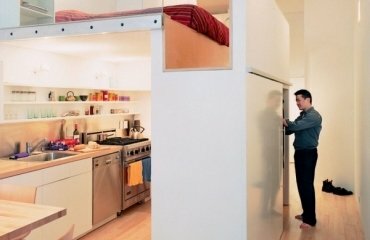 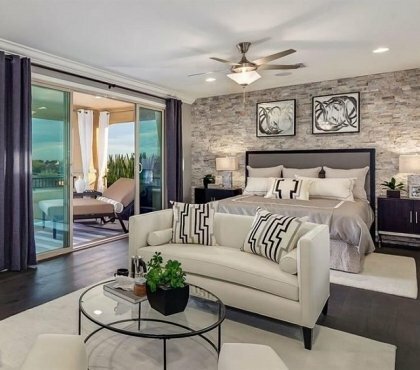 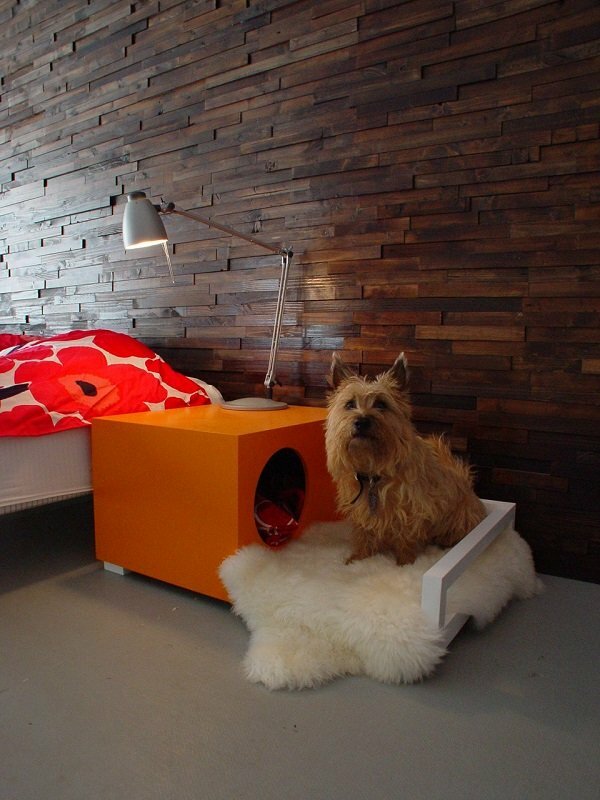 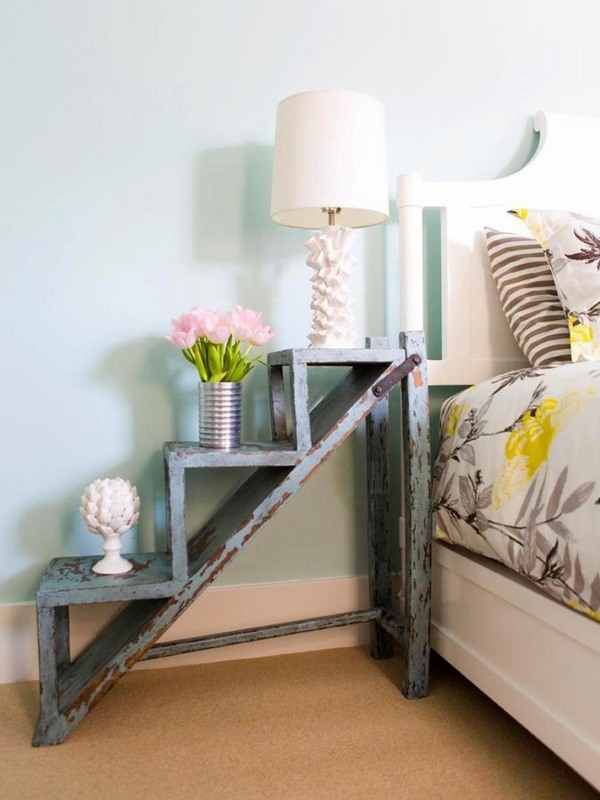 You can use quite successfully all types of containers, boxes and all possible objects and pieces of furniture that are not too large or too high for the bed in the room. 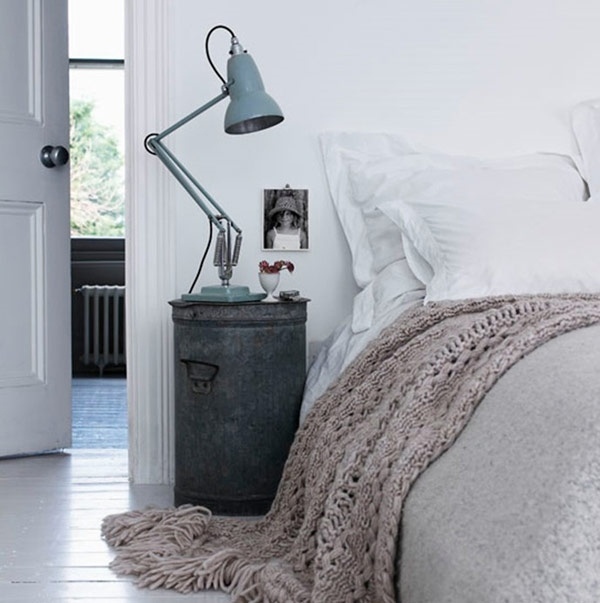 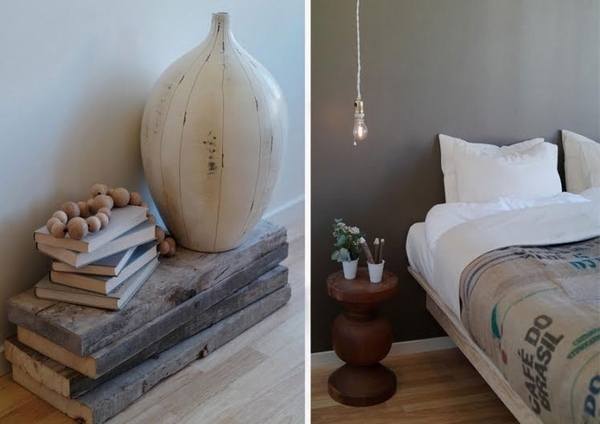 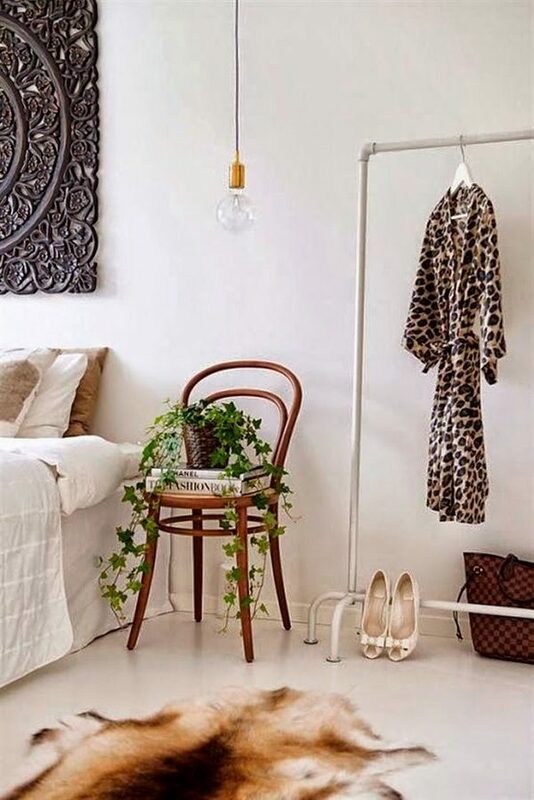 Cinder blocks, an old sewing machine or a large clock from a flea market – you will find fabulous ideas in the gallery below for very original and practical addition to your bedroom furniture.